Susan Stanton Rotman will conduct a three day course Friday, Saturday and Sunday, August 15, 16 and 17, 2008. Susan has named the course “Escaping the Tyranny of Reason: Intuitive Development for Practical and Business Decision-Making”. This seminar will introduce us to working with our own intuition to develop greater insight, creativity, and more informed decision-making and problem solving skills. Susan’s goal is to help each individual become aware of and learn how to attune with their own inner knowing–finding and listening to the small still voice within–which we all have, but many of us have lost touch with. Here approach is to present some instruction, but even more important, to work in group and individually with identifying the FEELING of attunement, and then practicing it, through an inner felt sense, through the body, not the mind. Then, once aware of that inner knowing, to help learn how to subsequently evaluate it with good judgment. Susan’s experience shows that the best way to access clear and reliable intuition is through the senses, not just with the senses–a subtle but important difference. We will work with listening to the body, learning to tune in, being present to the process, observing the details, listening/feeling for the answers, and evaluating the information. Everyone at the course will work with exercises and materials to help develop discernment, to identify what is authentic inuititve insight and how to avoid the traps (such as fear and high expectation). Typical exercises include preparation through using breath to relax and raise awareness, psychometry practice, sensing exercises to enhance perception (kinesthetic sense, visual sense, auditory sense), reading yourself and others, maybe some chakra balancing. The course will also address boundaries, psychic protection and feeling safe. It is important to know yourself, know your space, and to know and have connections in the “real” world, for good balance between inner and outer, intuitive and rational. In all of Susan’s work, she practices and teaches coming from the heart, for the highest good of self and others. Reason…as defined by the mind set of the society in which we live…does not always make sense. One of the most enlightening understandings gained from 40 years of global travel is that every society has a different definition of “reasonable”. This fact is import because clear vison in business and investing can be hard to attain unless we escape the mind sets that surround us. This is vital for fighting inflation by spotting distortions in real estate, commodities or shares. Yesterday’s message also mentioned that Merri and I have armory of tools to help us see beyond logic. This led her into buying a dancing-singing-drama school and by her second year (age 25) she was earning a six figure income. Now in her third year of this business she recently sent me this note. Now her school has really taken off! I have introduced Susan to numerous readers and all have sent me raves. My problem is I hate relying on others. I prefer to follow my own advice so I continually seek Susan’s advice not just on what she feels. I continually ask her questions about how to be intuitive myself. I know that my muscle testing and pendulum swinging are just extensions of what I already know ad should not be required…but how does the logic get in gear with our deeper wisdom? We all have inner wisdom. How do we tap and understand it? Finally, I guess I asked enough questions that Susan decided it would be easier to give me an entire course. My immediate thought was “let’s invite some others along” and thus a new adventure was born in the form of a three day course which will be held this upcoming Friday, Saturday and Sunday, August 15, 16 and 17, 2008. These are all important elements for greater success by developing these important Cs… Comprehensive view, Courage…Confidence…Clarity and interestingly enough Caution as well. In the workshop, we will examine intuition in the business context, the use of intuitive process as a complement to rational decision-making, and the integration of intuitive knowing with analytical thought. 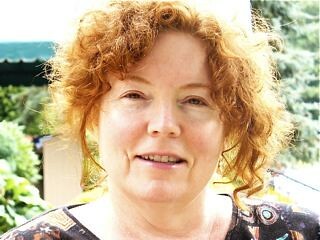 We are personally delighted that Susan is going to help us for this two days of group instruction and workshop. The third day she will be providing individual consultations after the workshop concludes. The workshop fee includes a individual consultation ($250 value) in person on August 17 or by telephone at a later date. We prefer telephone consultations ourselves, but some want to have theirs in person. This includes three shamanic sessions from Ecuador plus Andean cooking lessons, exercises and cleansings in the hot healing waters of the “Indian’s Trough” spring on the farm. The entire workshop and class will be conducted at our Blue Ridge Farm and all meals (Merri will do the cooking and teach as she cooks) and accommodations will be included. So you will be immersed in good nutrition, great company and enjoy a enormous value as well. These shamanic health secrets we share have helped Merri and me lose and keep our weight down. We have more energy, our skin looks better, tighter, our hair is thicker, our muscles more taut. Aches and pains have melted away and we don’t get sick. Colds and flu are a thing of the past. At an age when we could retire, we have bounding energy. Most important we feel good nearly every single day. This is vital to assure a healthy financial future! Here we are getting ready to take a hike through the woods. We hope you will join us. 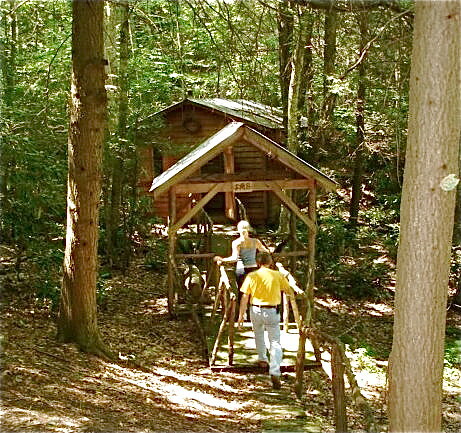 We’ll enjoy long hot soaks in our deep woods, Japanese soaking tub during the workshop. Here it is…fed by the natural springs of the historic Indian’s Trough. Here is what just a few of the comments that those who have been with us here have written. 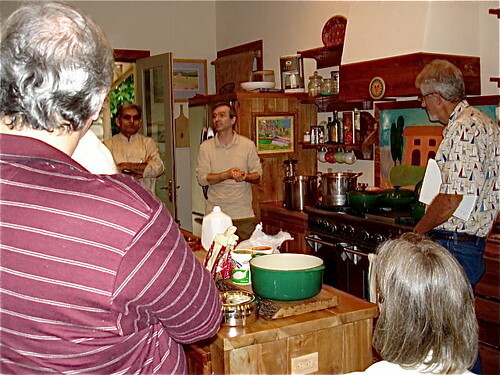 We’ll have cooking classes in our teaching kitchen. Here is a previous group who enjoyed the lessons and the food. “The food was so delicious and I thought I ate a lot, but during the week I lost six pounds!” WB Australia. I invite you to join Merri, me and our friends for a special weekend, sharing good health in nature. 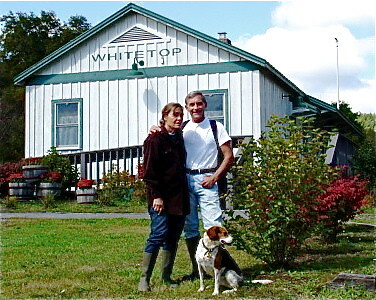 Please join us for Susan’s workshop at our farm in the Blue Ridge this August 15 to 17. $749 for one, $999 for two sharing a room. All meals and three nights accommodations included.